Who would win in a fight: pirates or ninjas? Hint: The team carrying the most shuriken. for the iPhone and iPod Touch! Two rival schools of ninjas are under attack and bad blood prevents either side from seeing the true threat. In the midst of it all, love blossoms between a boy ninja and a girl ninja from the rival schools. Can their forbidden love save the day? Or is doom inescapable? 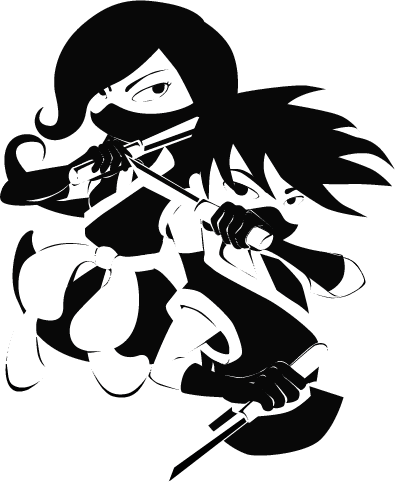 Ninja Rally is another quality product for the iPhone and iPod Touch from the makers of Gamesville. Gamesville specializes in massively multiplayer online game shows for real cash prizes. And ninjas. Copyright © 2009 Gamesville.com All Rights Reserved.